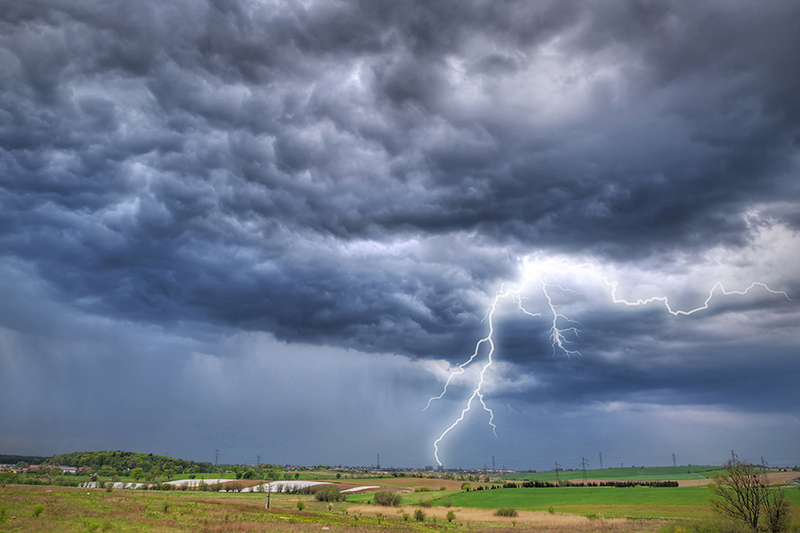 Thunderstorm phobia is a relatively common problem for dogs, particularly for those that live in areas where stormy weather is more frequent. Whether fear of thunderstorms is elicited by a singular traumatic experience or prolonged exposure, the result is often highly distressing for dogs and people. Without extensive behavioral therapy and management strategies, phobias become deeply ingrained and even harder to overcome. The intensity and frequency of big thunderstorms can be frightening enough for us humans, but some dogs are so traumatized they are unable to function normally for hours before and during a thunderstorm. Many thunderstorm-phobic dogs adopt self-management strategies in order to cope including attempts to escape from the home, digging into carpets, seeking out dark den-like spaces in which to hide, pacing, or crawling behind a bathroom sink or toilet. What makes behavioral modification in these cases so difficult is that thunderstorms are not easy to predict or control. A dog usually knows that a storm is coming long before a person does and becomes increasingly panicked as it approaches. The good news is that it is possible to change how a dog feels about storm noise by gradually exposing him to audio recordings of storm sounds at a low volume and, if he appears relaxed, playing his favorite game or feeding him his favorite food. Introducing the audio at low levels and gradually turning up the volume allows the dog to habituate to the noise without a fear response. 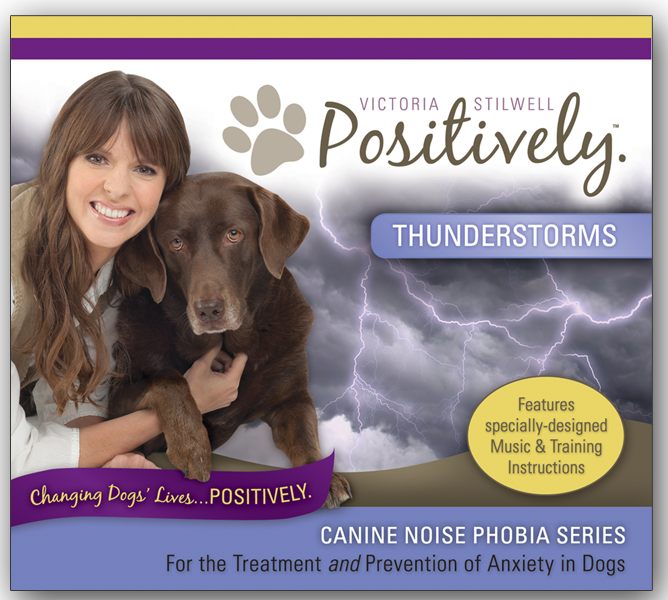 Get Victoria's Thunderstorms Canine Noise Phobia protocol on CD in the Positively Online Store. How Does Noise De-Sensitization and Prevention Work? Bioacoustic music from the Canine Noise Phobia Series (CNP) helps dogs acclimate to thunderstorm sounds in a controlled environment. 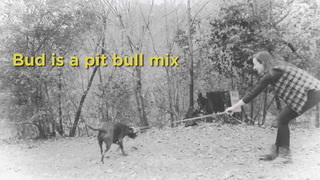 The recording is uniquely constructed to enable dogs to 'tune out' the sounds of a thunderstorm. In addition to treating already-present thunderstorm phobias, this tool can also be used to prevent thunderstorm noise phobia and other noise sensitivities from ever developing. The goal of this therapy is to change how a dog feels by altering the way he hears the sound. Music and graduating sound effects in CNP encourages nervous dogs to 'passively hear' the noise rather than 'actively listen' to it. For a dog, the end result is that even though he hears the sound of a thunderstorm, he is less bothered by it because it no longer overwhelms him. What Other Modification Techniques Can I Use? Gradually exposing a dog to flashes of light (by using the flash of a camera, but not in the dog’s face) that grow in intensity and using fans to simulate increasing wind are complementary parts of this therapy, but these can sometimes be harder to implement. Some dogs respond well to all of these tools during teaching sessions but may still become panicked when a real storm rolls in. It is therefore important to tackle this phobia in other ways by using effective management strategies and masking any visual stimuli that elicit a fear response during a storm. Dogs can be very sensitive to changes in barometric pressure that occur before a storm, but it is also possible that some dogs – especially long-coated breeds – become statically charged during a thunderstorm, receiving electric shocks from static in the air unless they 'ground' themselves. It is believed that dogs do this by retreating to a bathroom and hiding behind a sink or toilet, staying close to pipes that provide electrical grounding. 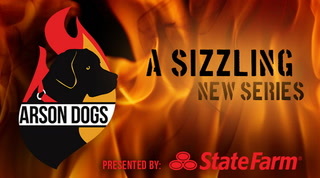 If true, this would certainly explain why so many dogs end up cowering in a bathroom. To reduce static build-up, some people wipe their dogs down with antistatic laundry strips and spray antistatic spray on their dogs’ paws, but care should be taken to avoid using products that contain harmful chemicals that dogs could lick off. Snug wraps, pheromone collars, and lavender essence can help dogs relax but if your dog’s phobia is extreme, anti-anxiety medication can be given just before a thunderstorm or by daily dosage, especially during storm season. In order to give the dog the best possible chance of rehabilitation, it is vital that behavioral therapy and management are always implemented in tandem with any medication. The most important thing you can do for your thunderstorm-phobic dog is to provide him with a 'bolt hole' – a place he can escape to in the event of a storm. Providing access to this safe place is essential at all times, particularly if you are absent. This could be a closet, bathroom, or basement (the best places usually have no windows), but with plenty of artificial light to mask flashes of lightning. If static electricity is a problem, rubber matting or tile is a good antistatic material to use for flooring. Calming bio-acoustic music should be played close to the safe haven to mask the sounds of thunder. If you are present during the storm, spend time with your dog in the safe haven or give him attention if he comes to seek comfort. 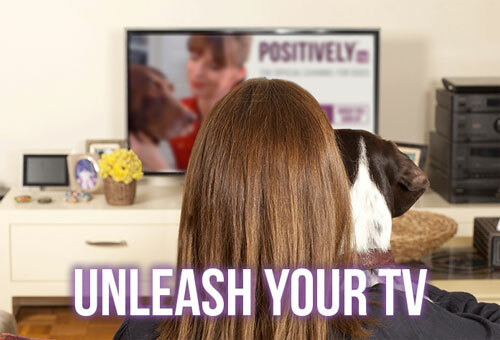 Far from reinforcing fearful behavior, your presence will help your dog cope – as long as you remain calm. Thunderstorm phobia is a difficult condition to treat, but trying a variety of therapies and techniques will improve your dog’s ability to cope when the big clouds roll in.